weekend. What strength of character the man has, much respect! is enough for a book, or I may just blog it! I am open to suggestions. with the Sound guys when they were having problems with the sound. Giant concrete Coffin = The Festival was held at different venues across Lisbon. chambered former warehouse, converted into a nightclub. had a great time together. look - see check; everything seemed ok, we were ready! 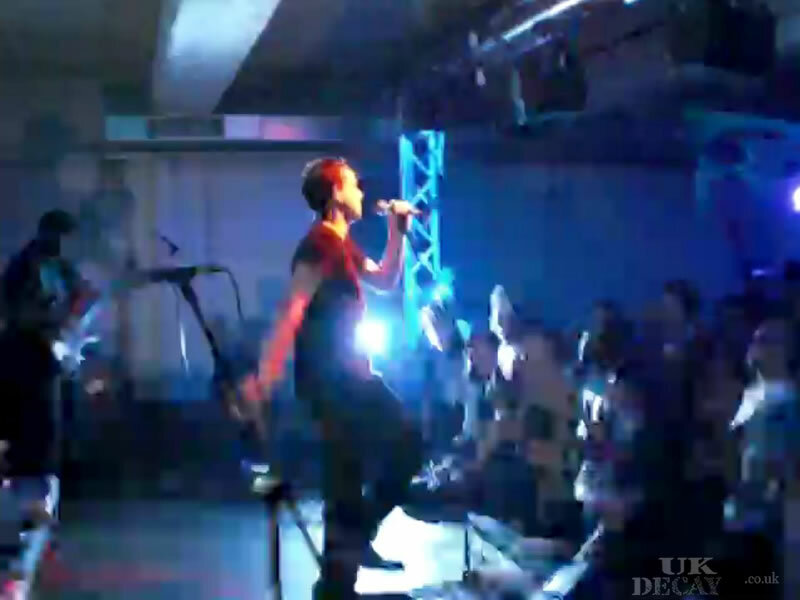 UK DECAY!â€� We moved onto the stage. Havering crew, dancing in the mid distant crowd. The heat was building. was tuned a whole note below standard and was sensitive to environmental conditions. on with the tuning and I would have to rely on my ears to check it. it and so did I. Bone returned my main guitar, whilst Abbo chatted to the crowd. in the new end section; it felt well received. Abboâ€™s decision not to do it. One for next time! when we last played these songs back in 1982.
the sounds were singing and in tune and the steady beat and bass thundering. rolled down to the last cadence. nothing while the growling was building up. Werewolf was usually a set opener. leaving room to play about with some of the larger live harmonics and feedback. format than the recorded version. and we walked offstage to a roar of applause. it was a great buzz. Before long, we were at the end of the song again. and we went straight into the song for the second time of the evening. and felt I was in tune as close as anyway and we bashed out Testament again. a beer again and is if by magick, one appeared in my hands almost right away. packed up and went out to mingle in the remaining couple of hours of the party. the festival closed at 7am. From the chapter "Drop Dead VI Weekend"